For those of you not old enough to remember the late 80s-early 90s, it was filled with strange things like big hair, mullets, Pac-Man, Extra Terrestrials, the Sony Walkman and that damn Rubix cube that I could only get two sides of the same color. These jackets are for… you guessed it, Member’s Only. It was also filled things like a Cabbage Patch dolls, Glow Worms, Pound Puppies and Masters of the Universe. Air Jordan’s had just taken flight and things like parachute pants, jelly shoes, leg warmers and Member’s Only jackets were all the fashion rage. For those of us who DO remember that time, think about how long it has been since you’ve seen some of those things. Sure, you might catch the occasional episode of “Growing Pains” on TV Land but most of those items are buried in the past forever. So imagine my surprise when I saw something straight out of that era walking through my neighborhood the other day. I was more surprised at what it was than I was with WHO had it. See anything from the 80s? 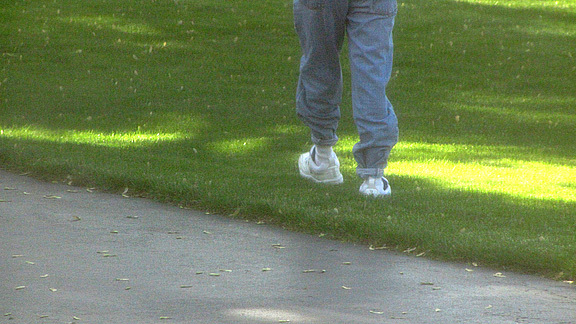 When’s the last time you saw a pair of tight rolled jeans strolling through your neighborhood? Guess I shouldn’t really be surprised considering Camaro Boy proudly prowls the neighborhood in one of these… when he’s not riding a bicycle or scooter. 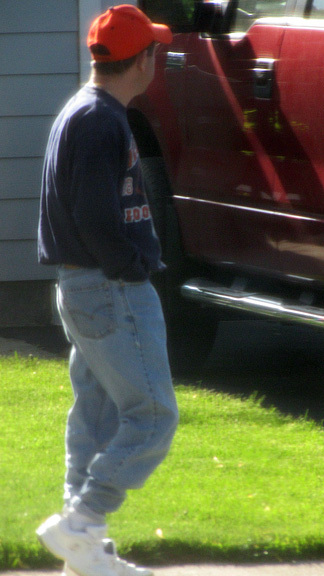 Fitting for a man still wearing tight-rolled jeans…. 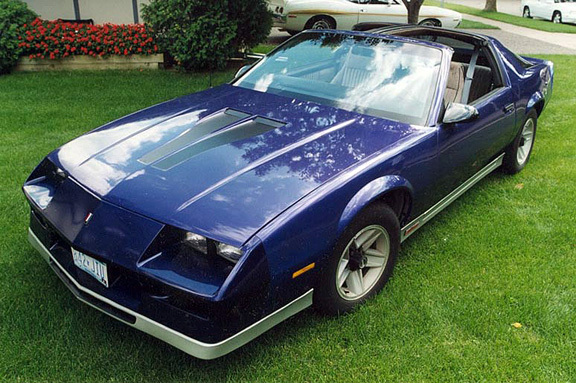 Gallery | This entry was posted in Daily Life and tagged 80s, camaro boy, daily life, humor, Neighbors. Bookmark the permalink. Are you kidding me? 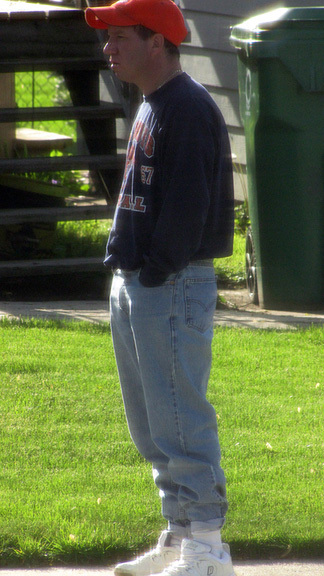 When my kids had 80s day at school, I tried to get them to let me peg their jeans and they wouldn’t let me do it. That guy looks like he’s cut the circulation in his legs off. When I first saw him round the corner I thought he had on baggy sweatpants but as he got closer I couldn’t believe what I was seeing and grabbed my camera. He isn’t doing it right- all the cool kids used safety pins to peg their jeans. Gheesh. Does he wear a swatch watch? He pegs his jeans!!! priceless. coolest guy on the block. Just looking at him makes me think he’s a douche. The pegged jeans don’t help. You forgot to mention the tamagachi. Looking like that, I doubt that man gets laid. I recall the process of tight rolling my jeans being incredibly agonizing. Why would you put yourself through that just to be made fun of… on the internet no less. Wow! This is truly a great source of ideas on creating amazing headlines and good content! This will surely help me a lot in writing my own posts in the future.